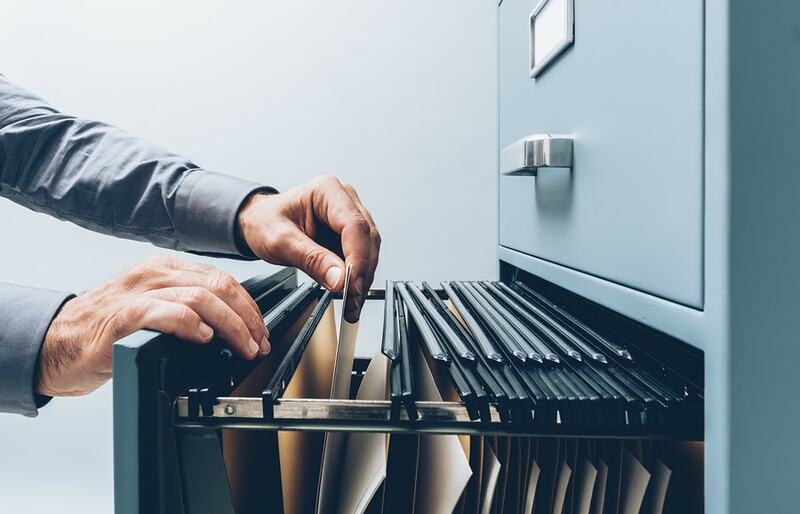 Keeping records in the office takes up unnecessary amounts of space, can expose confidential information to the wrong people, and puts vital documents at risk of damage from natural disasters such as floods or fires. Off site record storage helps to clear up that space to allow other necessities in the office, while still knowing your important information is safe. Not only does offsite storage free more space, it also promotes savings, and productivity in the office. How much space do the boxes upon boxes of files take up in your building? Relocating these documents to an off site storage facility opens up floor space and gives you more room to work. Keeping countless boxes of records onsite inevitably leads to disorganization and confusion. Spending hours or days looking for the specific document needed is time that could be used for more productive purposes. When you transfer your records to an offsite storage company each box is indexed, categorized, and marked with a scannable barcode. When you need information it is easy to track down quickly and efficiently. In-house storage puts secure information at risk of theft because it’s difficult to keep track and protect every document when it’s stored in an office. Offsite storage uses security systems like 24/7 video surveillance and guarded premises to ensure your documents’ safety from those who are not authorized to view them. Another risk to documents that are unprotected is unforeseen natural disasters. Accidental fires or floods can destroy essential and irreplaceable information. Almost all record storage facilities use climate controls to regulate temperature and humidity, as well as fire-suppressant storage for heat in order to keep your documents protected. When you work with professional storage companies, they help to free up space previously dedicated to storage, creating more space for revenue-generating employees. Rather than paying employees to index or retrieve your documents, for 50–95 cents per month an offsite storage provider handles records management, leaving you to focus on your business. Ultimately, storing your documents off site is all around a good idea. It offers many benefits for your business that on site record storage can block, and offers stronger record management. You will have more space in the office, more security, more valuable tasks for employees, and more savings. Our network of scanning service professionals have extensive experience in helping businesses of all sizes find secure providers to meet their storage needs. Let Record Nations help you to find a secure storage provider to store your documents off site. Our staff of professionals can locate a company near you to relocate your documents for you for your offsite record storage.To get started, call (866) 385-3706 or complete the form to the right for a free quote.